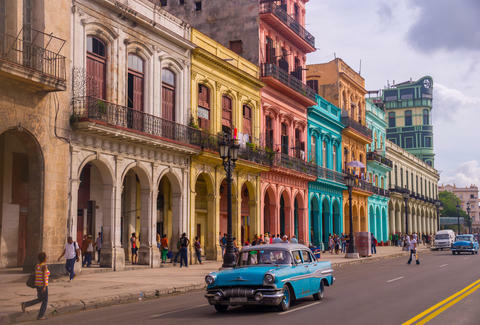 Just two weeks ago, direct commercial flights to Cuba were announced, and there's already a sale going on. It's a sign: You need to go to Cuba. American Airlines announced a promotional sale on its new routes to Cienfuegos, Holguín, Varadero, Camagüey, and Santa Clara, Cuba for flights booked between September 7 - November 15, 2016. Below are the going round-trip rates as advertised by American Airlines listed with all taxes included, meaning this should be exactly what you will pay at check out. To find these fares, you'll have to make sure you book a minimum of a three-night stay, or fly on a Sunday. And most importantly, you must book by Tuesday, June 28, 2016. Also, make sure that you're aware of current travel restrictions on Cuba, as visits purely for tourism are still not allowed. Get the proper visa and get going. Kara King is a News Writer at Thrillist and has the perfect fedora for her Cuba trip. Send news tips to news@thrillist.com and follow her at @karatillie.